We were surprised to see this Monarch. 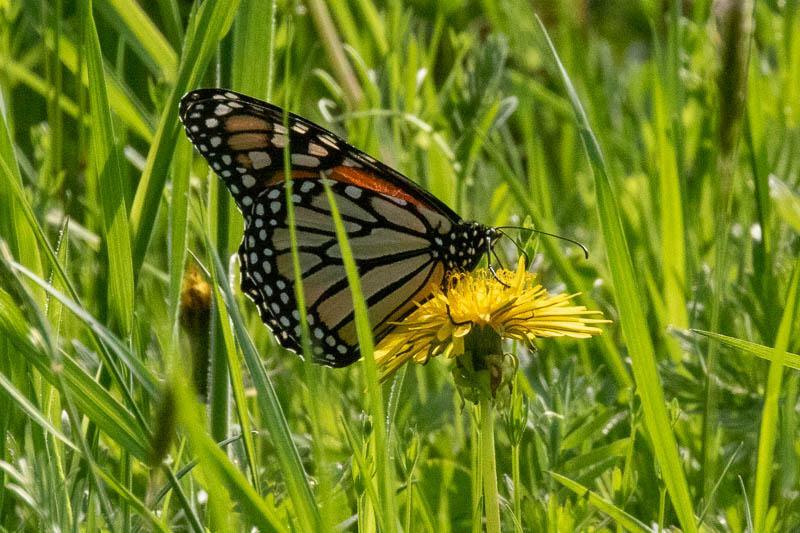 It was feeding on dandelions. We were concerned because we thought it was early, but when we got home we checked our milkweed patch and discovered they were already 6" tall!